Nonsensible Shoes: Who gives a damn what Senator McCain has to say anymore? 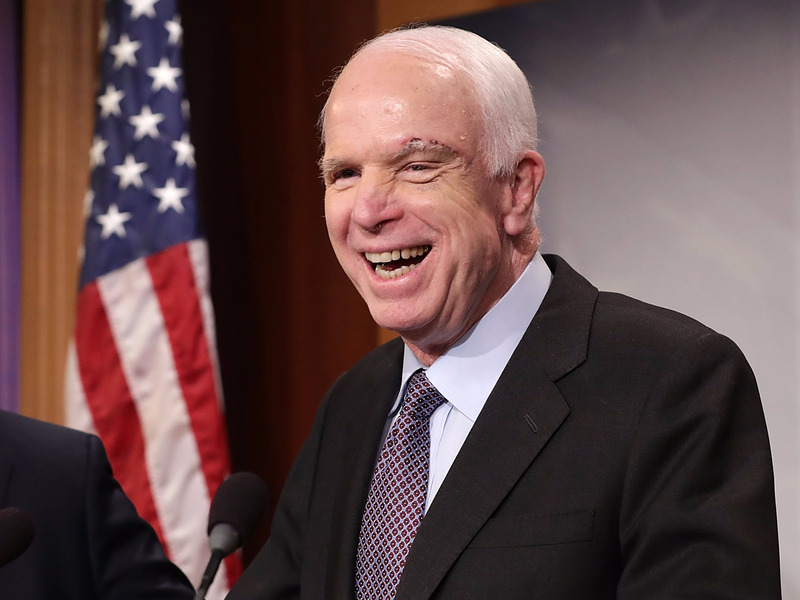 Who gives a damn what Senator McCain has to say anymore? Up front - yes, I feel bad for John McCain because of his health issues. Yes I appreciate his service for his country, both in the military and in the senate. That said, he's not a maverick - he's not a real Republican. He's a liberal squish with hawkish military views on international geopolitics. That may have flown in the GOP in 1985 when the Soviet Union was an existential threat. But today the world has changed and John McCain has not. He was the self-appointed thumbs down on the Obamacare skinny repeal after a potentially sidelining emergency surgery. “President Trump’s decision to eliminate DACA is the wrong approach to immigration policy at a time when both sides of the aisle need to come together to reform our broken immigration system and secure the border. “I strongly believe that children who were illegally brought into this country through no fault of their own should not be forced to return to a country they do not know. The 800,000 innocent young people granted deferred action under DACA over the last several years are pursuing degrees, starting careers, and contributing to our communities in important ways. While I disagreed with President Obama’s unilateral action on this issue, I believe that rescinding DACA at this time is an unacceptable reversal of the promises and opportunities that have been conferred to these individuals. This is as much about presidential overreach by Trump's predecessor as it is about a truly broken immigration system and rampant illegal immigration. Senator McCain can offer all the bluster he wants but his ideas have not been successful in stopping illegal immigration. 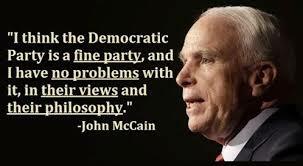 McCain must have some powerful backers in Arizona because his position is out of touch with his state. Arizona Republicans need to do some serious house cleaning on their elected representatives. Just re-electing the guy with the tenure is a waste of representation.